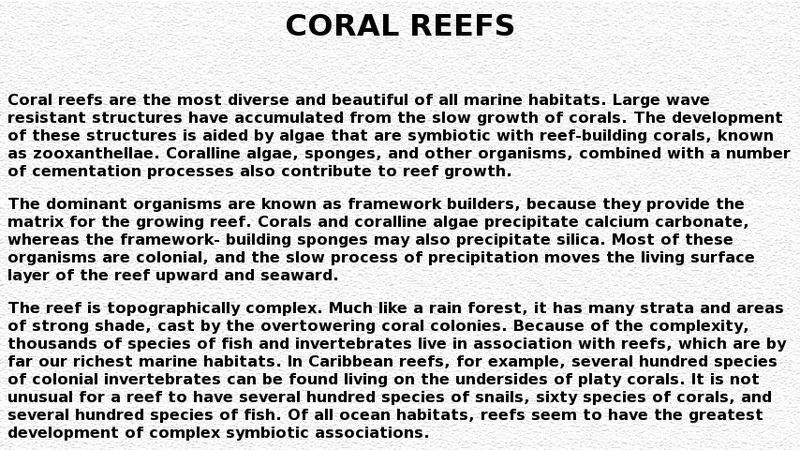 Description of coral reef environment for high school level and higher. Page is chock full of fantastic photographs each featuring a descriptive caption. Topics discussed include ecology, symbiosis, and predator defense. The site features many different species and stages of coral from all over the globe, and also many of the fishes that are associated with coral reefs.